There’s no doubt that Nintendo’s upcoming Switch is one coveted piece of hardware, and even sold out at one major retailer more than a month prior to its release date this March. And it also looks like Nintendo’s console and handheld hybrid could have better third party support than the Japanese company’s ill-fated Wii U, as quite a few renowned video game companies are planning to release games for the Nintendo Switch this year. One of these companies is Electronic Arts, the mammoth video game publisher behind games like Mass Effect Andromeda, Battlefield 1 and of course, the FIFA series of European football video games. 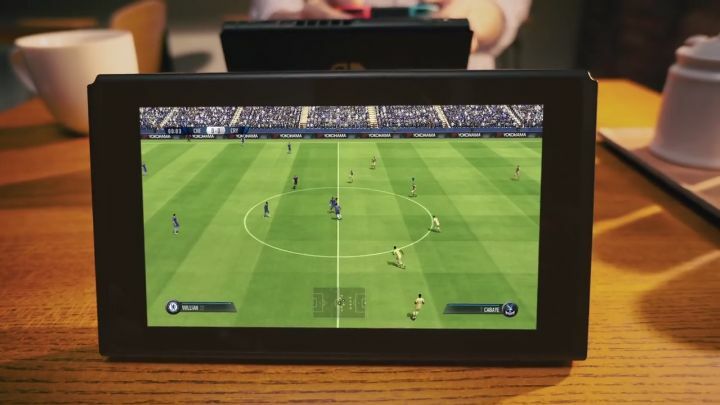 And those fans of the sport who are also planning to pick up a Switch this March sure were excited when Electronic Arts revealed that FIFA would indeed be coming to the Switch this year, while a Japanese trailer recently posted by gaming website Eurogamer gives us a first look at this eagerly awaited release for the Nintendo Switch (see below). Judging by this trailer, it appears that this version of FIFA running on the Switch won’t look as good as the other console editions, as it’s likely the Switch is a tad underpowered to deliver the same visual fidelity the PS4 and PC versions of the game are capable of. Although we must bear in mind the Switch is running in handheld mode in this trailer, in which games won’t look as sharp or run as well given that the machine will be operating at a lower frequency to conserve battery power. So it’s likely FIFA will look quite a bit better when the console is inserted in the Switch Dock and the game is being displayed on a HDTV. The trailer also shows the Nintendo Switch’s multiplayer capabilities, and the “game anywhere” philosophy of Nintendo’s new hardware. This means multiplayer sessions of FIFA could be even more fun than on other console systems, although we will know this for sure when both the Nintendo Switch and this upcoming FIFA game finally hit the shelves this year.